FELV, FIV, and FIP are commonly all mistaken for feline AIDS. Although these diseases can have similar symptoms and are viral diseases, they are very different from each other. Because they can be asymptomatic, it is important to test each new cat or kitten that is being brought into your household for FELV and FIV. There is not an accurate test for FIP. FIV is the disease that is closest to being like human AIDS. The are no specific symptoms. 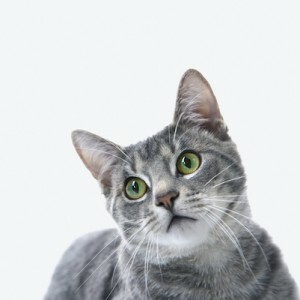 As the disesase affects the immune system, making it unable to resist many things, the cat may be presented with problems, such as recurrent infections, (e.g., wounds, bladder infections, etc.) gastrointestinal or upper respiratory problems, loss of appetite, pain while eating (due to gingivitis or stomatitus), lethargy, etc. Though troublesome, many times the cat will survive many years with FIV. This is a major difference of FIV from the other diseases. Some cats can even remain without symptoms of any kind for years. The virus is usually spread through saliva. Cat fighting with bite wounds is the major cause in the spread of FIV, so spaying or neutering your cats will cut down on the fighting, and keep them closer to home, reducing contact with possible carriers. Kittens can acquire the virus from mom before birth or at nursing. Most cats that are tested are not showing any clinical symptoms at the time, that is why it is very important for you to have a new cat tested BEFORE exposing the animal to your home. Keep the new cat isolated in a room until you are able to have the cat tested. FIV is not transmittable to humans, nor can you give your cat FIV by touching an FIV positive cat. Feline leukemia is the second common viral disease. Unlike those with FIV, FELV cats do NOT live a long nor healthy life after they are infected. The average lifespan of a positive testing cat is about two to three years. A cat with FELV typically is presented with clinical signs. They are similar to those FIV+ can develop —poor wound healing, chronic upper respiratory infections, etc. FELV usually makes the cat much sicker and can be suspected in about any problem or illness. FELV causes significant immune problems in the cat; therefore, cats that are infected have a harder time and take longer to heal than a healthy, uninfected cat. FELV is easily transmitted through fighting to other cats just as FIV. The FELV virus is present in greater amounts and also in other bodily secretions, as a result it can be transmitted other ways, such as by licking and grooming, shared litterboxes, and from mother to kitten. Fortunately, the virus will survive only a few hours outside the body. FELV can be tested for by drawing a very small blood sample from the cat. Usually the test is run immediately, and it takes 10–15 minutes. This is the most effective way of testing. However; there are other types of tests that are only about 75% accurate. These include the saliva or tear test, but you should be very cautious about relying on them. Some cats that are tested are not showing any clinical symptoms at the time the test is done, so that is why it is very important for people to test BEFORE exposing the new cat to your home. The last of the three is FIP, which is very different than the first two diseases. FIP is a disease that is caused by a very common virus called coronavirus, which in some strains mutates itself into a virulent form that causes the disease FIP. The FIP virus is found in the saliva and feces. Most cats will pick it up through ingestion or inhalation by direct contact with either the infected cat or objects contaminated with the virus, like bedding, bowls or toys. The coronavirus is hardy enough to survive in the environment for weeks. Fortunately, basic cleaning solutions will inactivate it. There are two forms of FIP, wet and dry. Symptoms of the wet form include weight loss, not eating, dull hair coat, jaundice (yellow skin or more noticeably yellow in the whites of their eyes). However, the most noticeable symptom is a result of the leaking of fluid, that fills up in the abdomen or chest. This fluid causes a swollen belly, that is quite noticeable. This eventually leads to breathing problems and a lot of discomfort. Symptoms of the dry form can be similar to the wet form, including weight loss, not eating, dull coat, and jaundice but, no fluid or swelling. For a few cats a symptom occurs in the outside of the pupil, the colored part will turn a brown hazy color. It can also cause changes in the brain leading to balance, behavioral issues and seizures. Sadly, either form is always fatal. Unfortunately, there are not accurate preventative tests available for either type. Unlike FELV and FIV, there is no test diagnostic test for FIP. Instead, we are only testing for exposure to the Corona virus. The resulting titers do not consistently prove disease or potential for disease. The virus does not affect dogs or people, strictly felines.